What Green Means for Communities. 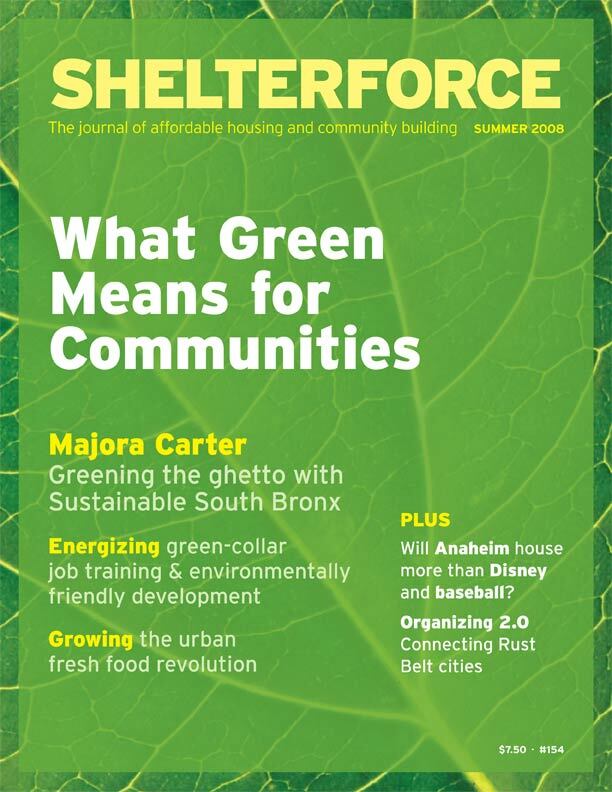 Features an interview with Majora Carter, founder of Sustainable South Bronx; Making Food Deserts Bloom; “Taking the LEED in Your Community. Also: Chicago’s El Mercado marketplace; Boston’s Jamaica Plain and affordable housing; and more.